Coffs Harbour Garden Club: Anton Brings Christmas Cheer! The Guest at the 15 November meeting was Anton who once again had the membership spellbound as he created lovely Christmas floral artistry. There were some that perhaps we could manage but others would need the dab hand of someone very talented. Anton is a member of the NSW Floral Art Association and they meet monthly for workshops. Anton is very keen and travels usually to Kempsey from Woolgoolga to attend them. 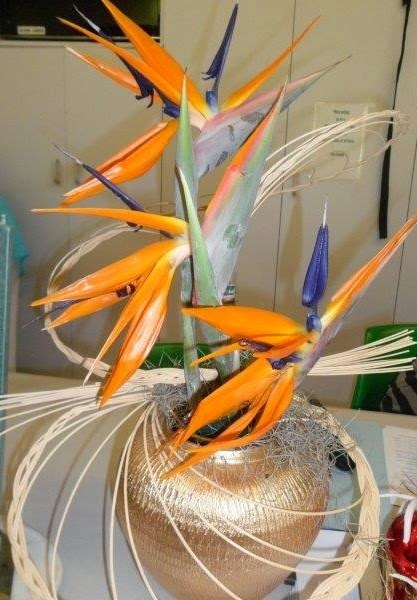 Recently they had a workshop on weaving techniques and this was put to good use in this stunning piece with Strelitzia (Bird of Paradise) with a gorgeous gold pot. 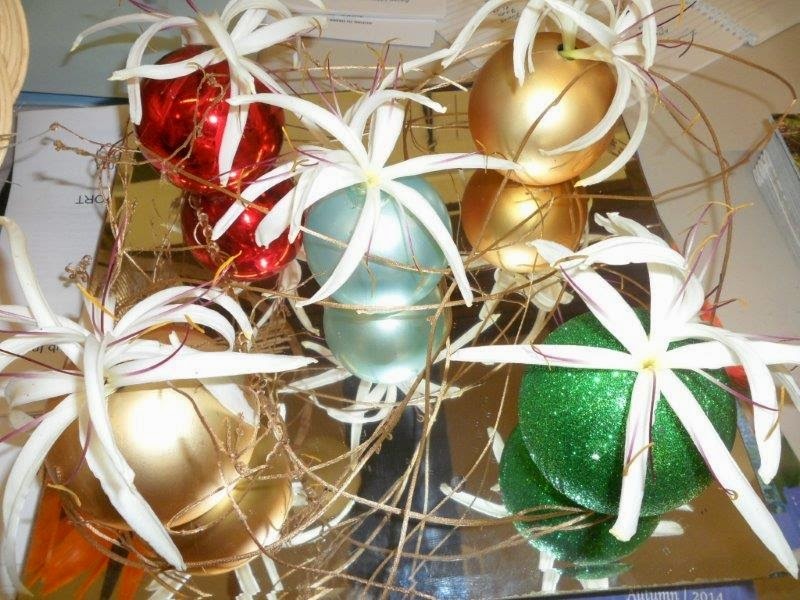 These Christmas baubles had a hole cut into them, spider lily inserted and accented beautifully by copper wire. Anton's Birch block with a fountain of wires ready to support some stunning pink bougainvillea. 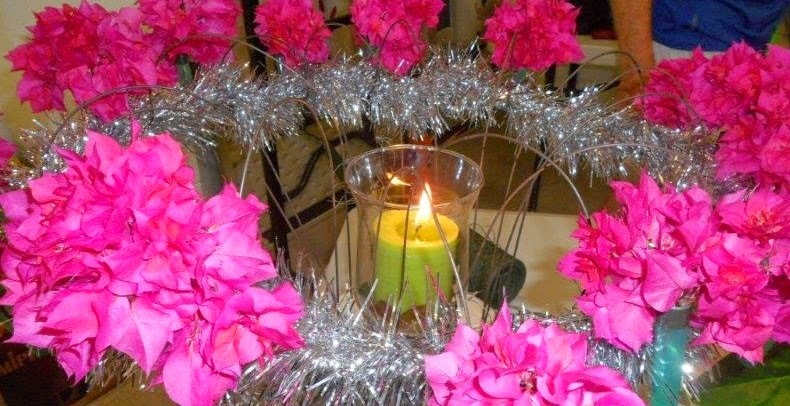 A wonderful cerise bougainvillea bringing this table centre piece to life. Maureen & Geoff very intent on what Anton was doing. Who would have thought that three empty wine bottles, some painted sticks, three baubles and some greenery could look so good - just terrific! The foundation of this arrangement is loofah sliced and glued into place. Thank you Marie D. and Michael P. for the photos.